Google's plans for its Nexus brand are always the topic of speculation and rumor, not least because of Mountain View's lack of a pattern that makes things hard to predict. 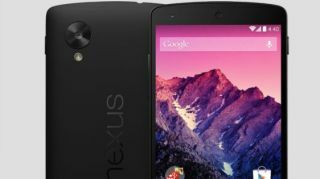 Case in point: sources say Google may actually release not one, but two new Nexus smartphones this year alongside the rumored Nexus 9 tablet. That's according to Phone Arena, which also revealed the potential Google one-two product punch hinges on how well Motorola's Moto X+1 performs, oddly enough. Apparently the Moto X+1's performance will determine which version of the rumored Moto S Motorola releases, and that in turn will influence Google's Nexus plans, the site's sources said. You see, Motorola is reportedly testing both a 5.2- and a 5.9-inch version of the Moto S, and which one it releases may be based on Moto X+1 sales. The Moto X+1 is rumored to be a 5.2-inch smartphone, but if that proves too small for today's phablet-gorged phone users then Motorola will opt for the larger, 5.9-inch Moto S as its next device. Then, and here's the point, Google may scoop up the 5.2-inch design and brand it as a Nexus device, to go along with the rumored 5.9-inch Nexus X, which is already said to be almost identical to the Moto S of the same size. Obviously there are a lot of ifs here and a chart may be helpful to follow along, but at the same time this seems totally plausible. Google already confirmed there's at least one new Nexus device coming this year, but we won't be surprised if there are actually more.